& from Scotland including Rode Hill. This was issued on 2nd November 1967 in both Mono & Stereo flavours. The initial press sleeves were fully laminated, the second press sleeves were just front laminated. The second press sleeves were front laminated only. Some had floating laminate and a large white area top right with '593 003' & 'MONO' text where the Stereo info normally was, the same as the fully laminated versions. Some other sleeves had no white area and 'MONO 593 003' text in black at top left. All printed by Ernest J. Day & Co. which is very hard to see but is printed in black at bottom right. Some had ST 33 in two circles, even though the album is in Mono. Others have the M 33 triangle. This came in both rough & smooth variants, though the M 33 may have only been smooth label. Another thing that changed from the first press is that the publishing date for side two mysteriously changed to 1966, where the first issue correctly had 1967 on both labels. The publishing credit for track 3 on side one was corrected from 'Windfall Music' to 'Immediate Music'. This copy has no white square 'MONO 593 003' at top right on the back. The labels are the M 33 triangle variant, the correct Mono label. The poly lined inner even has the correct '107' date [10/67] ! 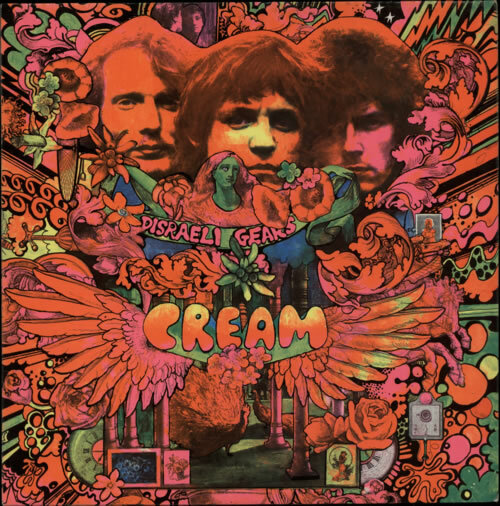 Product Information Cream Disraeli Gears - 1st UK vinyl LP album (LP record).